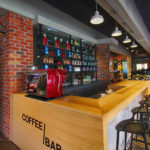 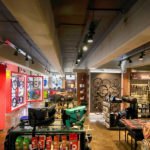 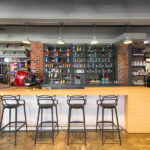 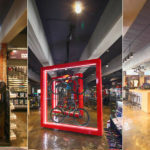 Shopfitting Depot, with it’s wide range of custom-made and locally-manufactured fittings and fixtures, was the undisputed supplier of choice for the award winning design which scooped the prestigious 2016 Retail Design and Development Award for Plan-It Design for store design under 1000m2. 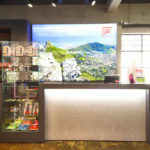 The innovative use of our products in the concept design for the Cape Town-based store – “This Way Out” – illustrates the aesthetic appeal, flexibility, quality and cost-effectiveness that Shopfitting Depot brings to its retail design partners. 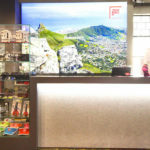 Our branch in Cape Town can assist your business, whether big or small, to realise your vision. 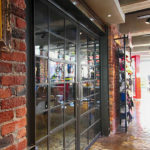 We can design and supply to your exact requirements. 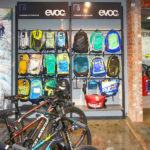 So give us a call, or just drop in to the showroom for ideas and advice on how best to promote your brand. 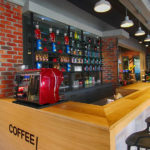 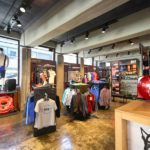 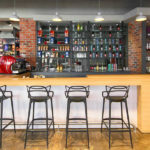 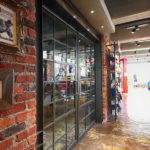 The This Way Out store boast loads of innovation while retaining aesthetic appeal. 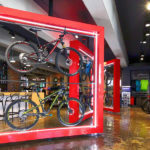 Custom-made swivelling bicycle display frames which not only create a series of room dividers between coffee bar, apparel, accessories and point-of-sale area, but frame the high-end bikes as ‘art’ as THIS WAY OUT Cape Town. 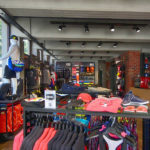 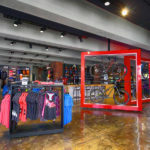 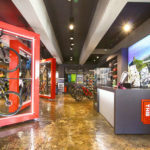 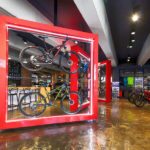 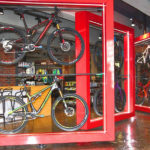 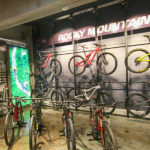 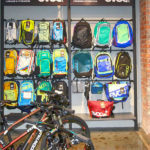 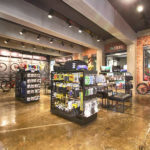 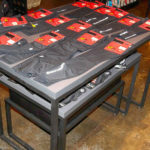 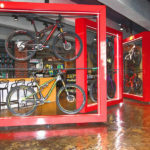 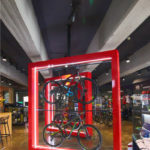 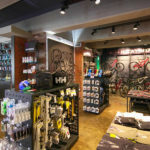 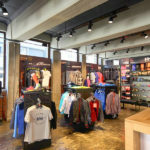 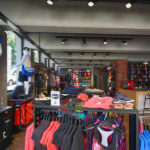 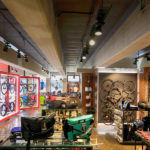 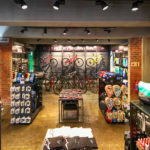 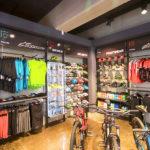 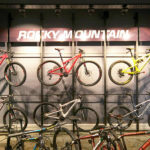 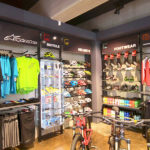 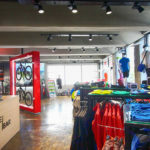 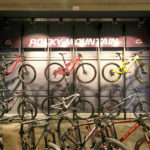 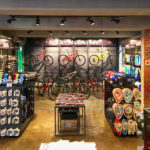 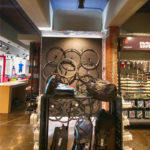 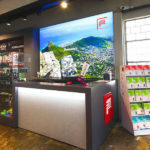 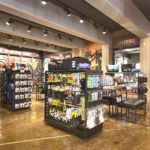 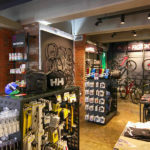 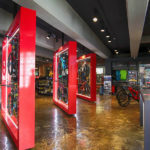 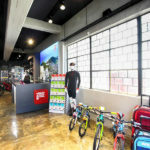 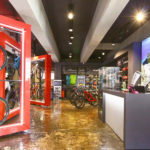 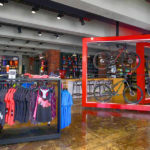 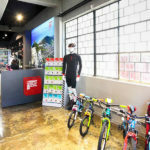 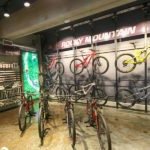 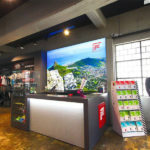 The easy-to-navigate layout and tactical lighting enhance the retail experience while intelligent use of vertical wall space, black backdrop and appropriate lighting ensure the Rocky Mountain bikes on sale at THIS WAY OUT, Cape Town are well displayed. 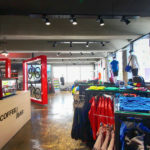 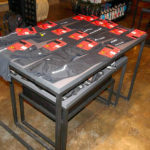 A full range of clothing and accessories are sold at THIS WAY OUT Cape Town, catering for mountain bikers, trail runners, yachtsmen and women and climber while a full-time barista creates high quality coffee-bar fare for customers finding the perfect mix between an outdoor lifestyle and the perfect cup of coffee.